Don't miss out on the hot pineapple trend! Offer this exquisite pineapple favor to guests at your next special event. 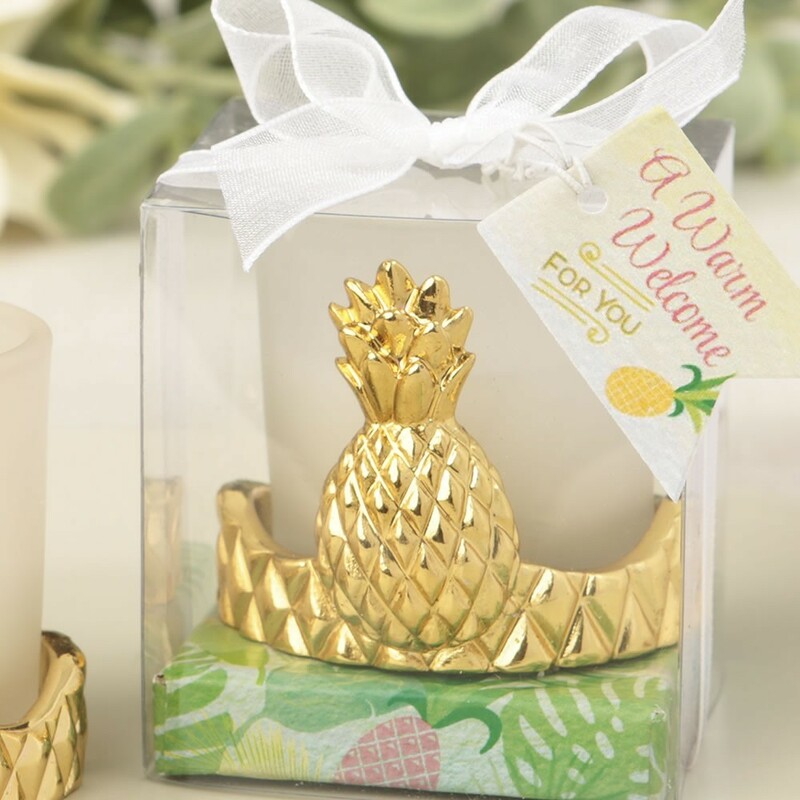 This classy pineapple favor symbolizes a warm welcome, hospitality, friendship, generosity and other forms of social warmth and graciousness. 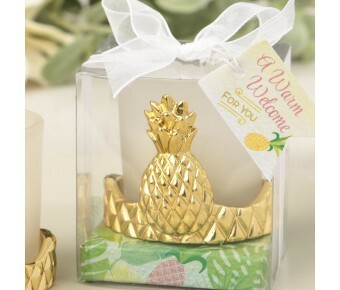 Our pineapple themed votive features a poly resin bottom that is plated in shiny metallic gold. The base has a pineapple texture and a pineapple that extends from its center. The votive that stands in the base is made of frosted glass and is filled with poured white wax. A stylish and on-trend favor for any grand occasion that is sure to delight your guests! This classy pineapple favor symbolizes a warm welcome, hospitality, friendship, generosity and other forms of social warmth and graciousness!